Do you try each day to eat well-balanced meals that are low in fat, sugar, and sodium and high in omega-3 fatty acids? Is it challenging for you, like many Americans, to stick to a healthful eating plan? If so, then the Mediterranean diet, which provides many food choices (fruit, legumes, vegetables, fish (little meat), and whole grains, may be for you. Do you frequently find yourself reminding patients with hypertension, who are on anti-hypertensive therapy, that lifestyle modification including healthful eating and weight loss are essential parts of blood pressure control?4 The most recent systematic review and meta-analysis4 compared four diets in hypertension randomized controlled trials and reported that the Mediterranean diet had a significant effect on diastolic but not systolic blood pressure reduction. Also, being overweight lead to less blood pressure reduction, emphasizing the negative role of overweight and the need for healthful eating in this population. Eat as many Mediterranean-type foods each day as possible, even if you cannot be strictly adherent in all your food choices. 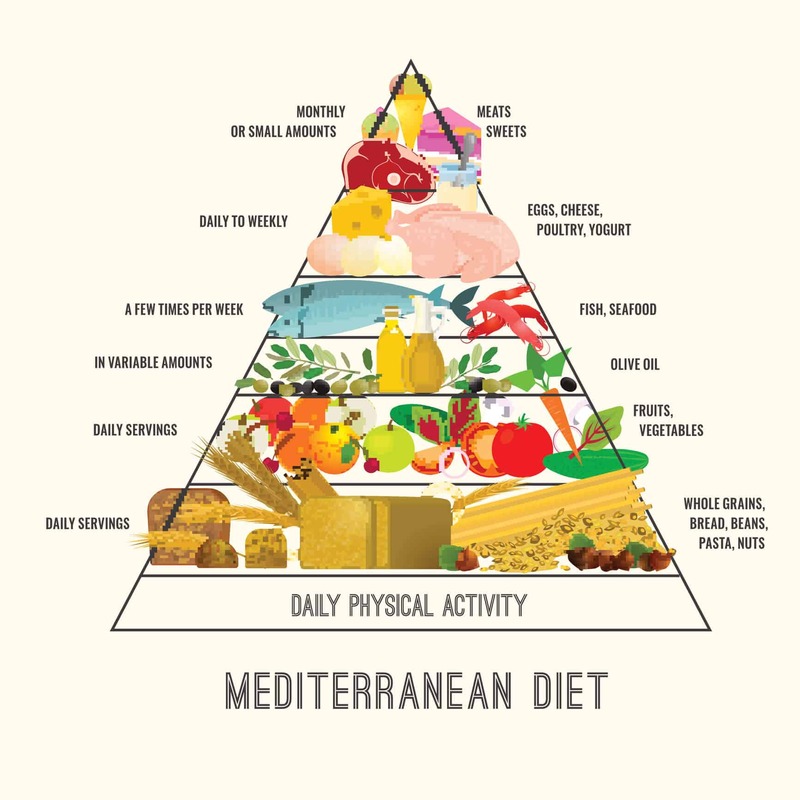 Teach the Mediterranean diet to those who are at risk of cardiovascular disease, emphasizing fresh and varied food choices and the added benefits that omega-3 fatty acids provide. Emphasize positive changes patients make toward the Mediterranean-type food choices. Use a simple food frequency questionnaire in your practice and provide immediate feedback to the patient. Emphasize positive changes patients make toward the Mediterranean-type food choices. Prescribe the Mediterranean diet (with a salt restriction as necessary) to patients with hypertension, as a lifestyle modification whether or not they are taking anti-hypertensive medication. Stewart RA, Wallentin L, Benatar J, Danchin N, Hagström E, Held C, et al. Dietary patterns and the risk of major adverse cardiovascular events in a global study of high-risk patients with stable coronary heart disease. Eur Heart J. 2016;37:1993-2001. Rosato V, Guercio V, Bosetti C., Negri E, Serraino D, Giacosa A, et al. Mediterranean diet and colorectal cancer risk: a pooled analysis of three Italian case–control studies. Br J Cancer. 2016;115:862-865.